I’m beginning to get obsessed over shoes that have white soles. 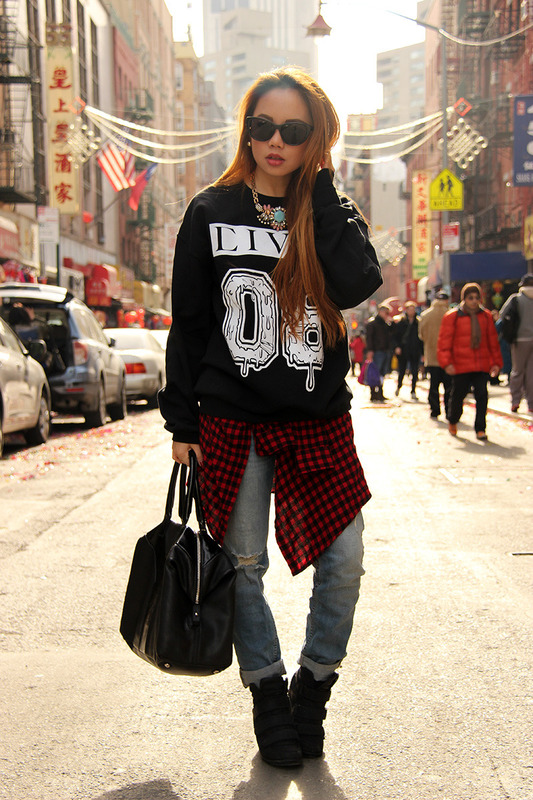 Preferably the ones in black and white so I can just mix and match it up with just about everything else in my closet. Makes it easier for me to dress up really quick. You know how much I love everything that’s in monochrome. So yeah, I was pretty happy when the black & white trend actually made its way to the fashion scene. More laid back outfits? More shorts and cropped tops please! Reminiscing the summer season during the ber-months. Notice how we always have this love-hate relationships towards certain things but when we actually lose them, we end up missing it after all. Funny thing was, I really had no idea when to celebrate the chinese new year. All I know was that it was on the month of February. 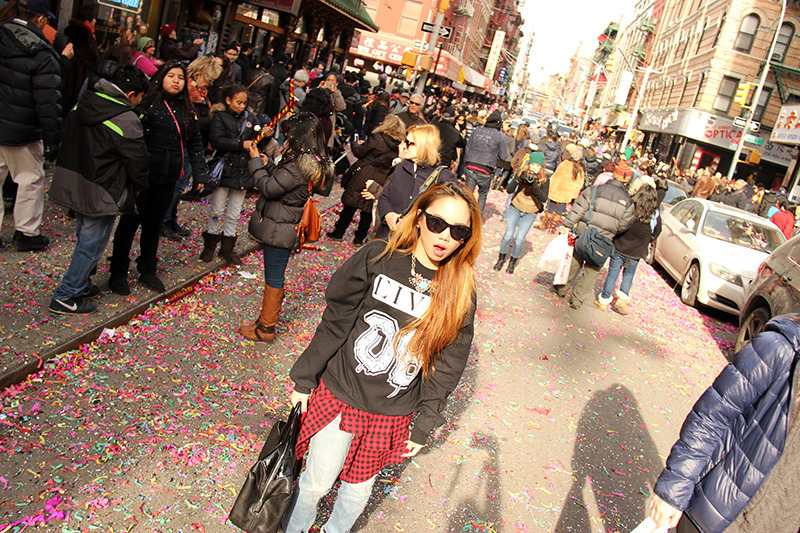 Lol Anyway, I just realized it by the time we got to Chinatown when hundreds of people came to visit the place and started buying dozens of confetti cannons and popping them right off the streets. I was like, oh my God! That’s right! It’s Chinese New Year! Haha! 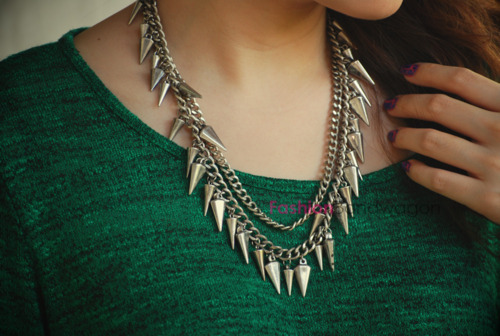 Another one of the many statement necklaces that Rarelove Jewelry has to offer. This one is my actual favorite ‘cuz of its size and the pastel colored stones around it. 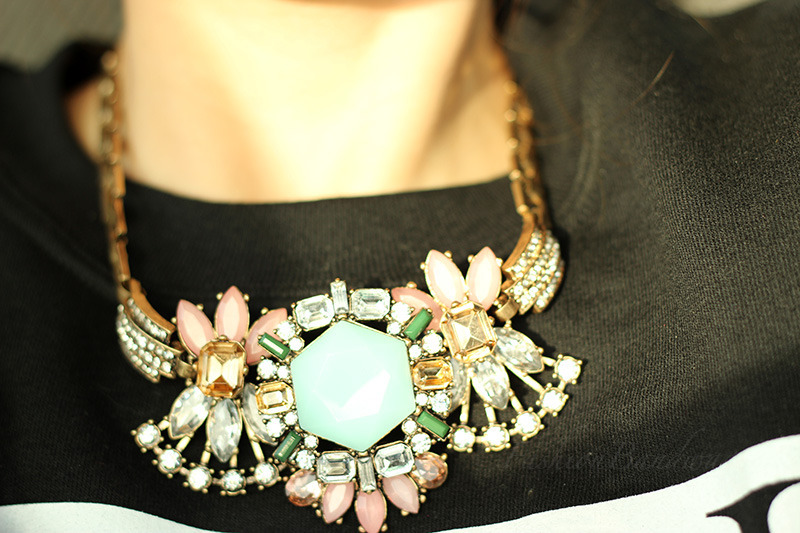 This is why I love statement necklaces so much. 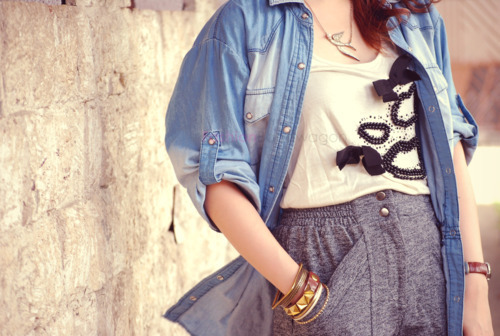 They make every outfit look simply well put together without over accessorizing. Perfect timing I must say! So lucky that I got to experience my first Chinese New Year outside the Philippines. It was definitely one of the most amazing experiences I had during my visit to NYC. Me and boyfie had so much fun. We’ll never forget the 2 for $5 confetti cannons. hehe! So about my look… I just literally had to throw anything inside my overnight bag without thinking on what the weather would be like by the time we get to our destination. Hihi! And of course, being the sweatshirt lover that I am, I had to wear this on the second day hoping that it would keep me warm incase the weather drops its temperature. Guess what? Thank God the weather was beautiful, a perfect day to celebrate the New Year! Read more about my visit to NYC here. I actually love these convertible bags that you can just stash inside your luggage when you’re travelling. And when you’ve shopped a little more than you thought and worry about excess baggage… And don’t forget a jam-packed suitcase. Where to put those excess baggage? Pack them inside this adorable stylish backpack from Parachute Bags. Read more about the brand HERE. Florals, florals and more florals. That would be my theme for today’s ootd. In love with all the fun floral prints and colors on this look but I’m not actually asking for summer season to come in any minute now. Hehe! 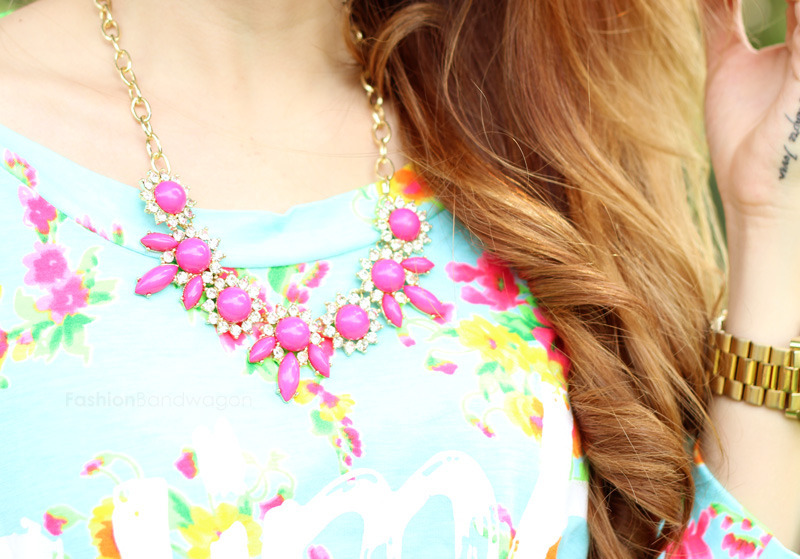 I love sweater season and that is why I love this long sleeved floral top from Indie-Go. Yeah, yeah, yeah..so this is kinda embarrassing. hahaha! I wear too much forever21, as if their giving me free stuffs. hahaha! You can’t blame me for loving their clothes.. and i know ya’ll love them too.. haha! I don’t know why, i just love their stuff, haha! Everything is so wearable, not to mention getting dressed up from head to toe. haha! From accessories, makeup, undies to shoes. You name it, forever21 has it. hehe! The “maarte” pose. I dunno why i did this. hahaha! Rainy season is back in Butuan! Woke up this morning and i thought my clock went dead and stopped around 5am! haha! When i looked outside the window, dang! It was like dark as hell. When i checked out my phones clock, its 8:30 in the morning! hahaha! So i assumed the weather outside was cold, so this is how i came up with my whole outfit of the day. Wore my new tribal print cardi that i got from forever21. Yey! finally got to wear ‘em! So anyway, yeah you might be wondering why im all decked out in Mango clothing well, last night i was browsing through lookbook and found a Mango loves Lookbook.nu contest.. i decided to give it a go.. just for fun. hehe! Please hype my entry ladies.. thank you! Speaking of lookbook.nu… Yaaay to 700 fans! love ya’ll!!! mwah! 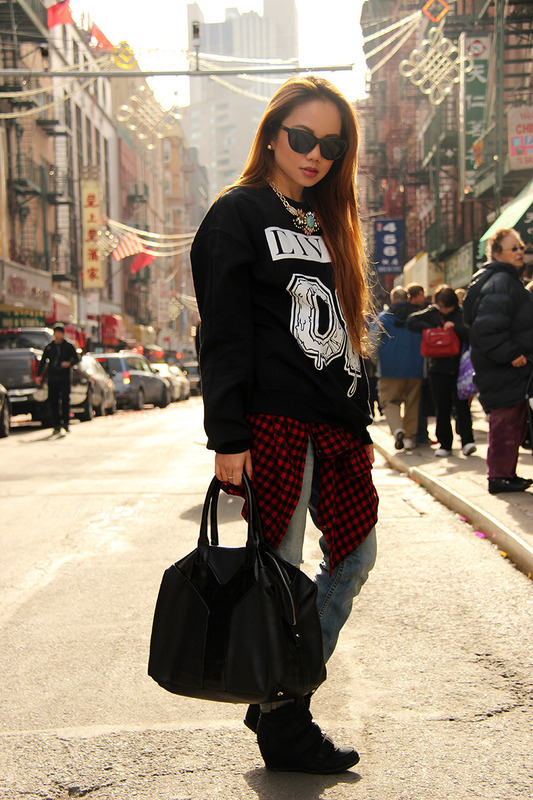 HYPE this look on Lookbook.nu!! !